A dark comedy with bite! Fresh from sold out shows at Melbourne Fringe 2017, Madame Nightshade is bringing her absurd games, twisted rituals and Tarantino-inspired anarchy to the West. In the dystopic world of the Poison Garden vegetables are transformed into weapons, Snow White is a spring-onion wielding samurai and Mars Bars represent the sh*t of the world. This visceral comedy upends our own compost bin and rifles through the remains. "Feminist, environmental, queer clowning that digs into the rocky ground below the soil"
"will have you howling with laughter" ★★★★ Weekend Notes. Created and performed by Anna Thomson and directed by Sarah Ward. 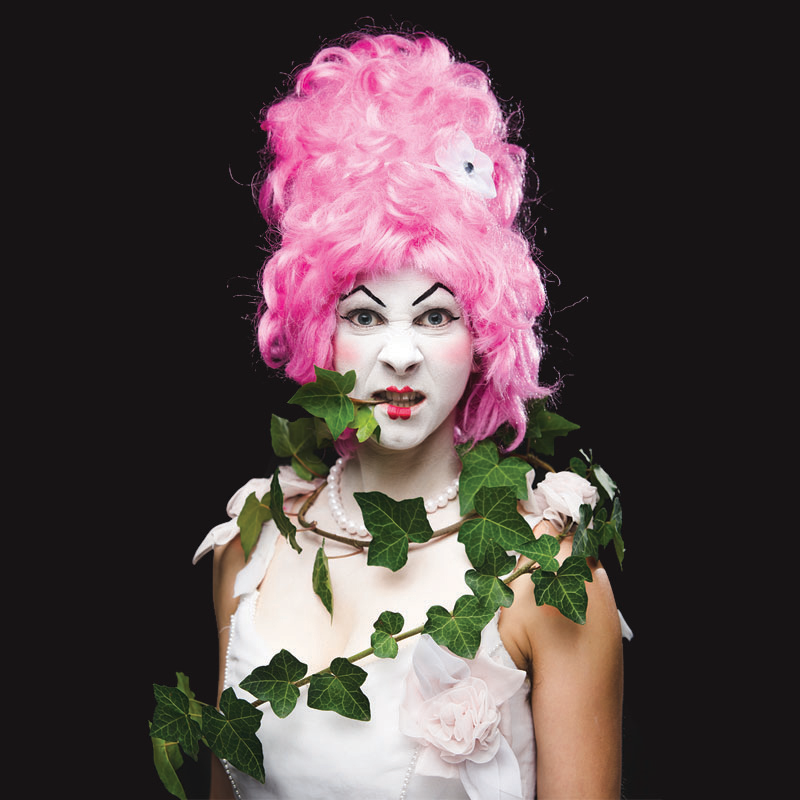 Anna Thomson is a Melbourne-based clown, theatre-maker, workshop facilitator, and circus performer. In 2015 she studied physical theatre, contemporary clowning, and performance making at the John Bolton Theatre School in Melbourne. She trained and worked as a performer with the Women’s Circus (2010-2012), winning the 2010 Innovation Award (Melbourne Fringe) for ‘Quite Contrary’. Anna is a founding member of PO PO MO CO (Melbourne Fringe Comedy Award Nominees 2017, FRINGE WORLD 2017,); Melbourne’s rambunctious queer comedy troupe, and has performed at festivals around Australia. Anna has a love of dark comedy and a strong interest in visual theatre. She enjoys exploring grotesque characters and making absurd performance art in response to the madness of the current state of our world.